LIU Kaipei was born in Jingmen, Hubei, China, on May 17,1962. He received the B.S. and M.S. degree from Wuhan University of Hydraulic and Electrical Engineering, Wuhan in 1984 and 1987,respectively, and the Ph.D degree from Wuhan University, Wuhan, China, in 2001. 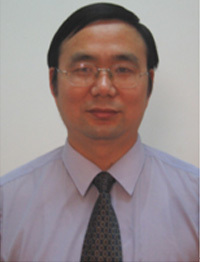 From 1994 to 1999, he was an Associate Professor in the school of Electrical Engineering, Wuhan University of Hydraulic and Electrical Engineering and since 2000, Professor in the school of Electrical Engineering, Wuhan University. He is engaged in research on the power quality and signal processing.